Get Race Seats for Ducati Panigale from SBK Motoworks. Made in Italy. We offer two type of seats. 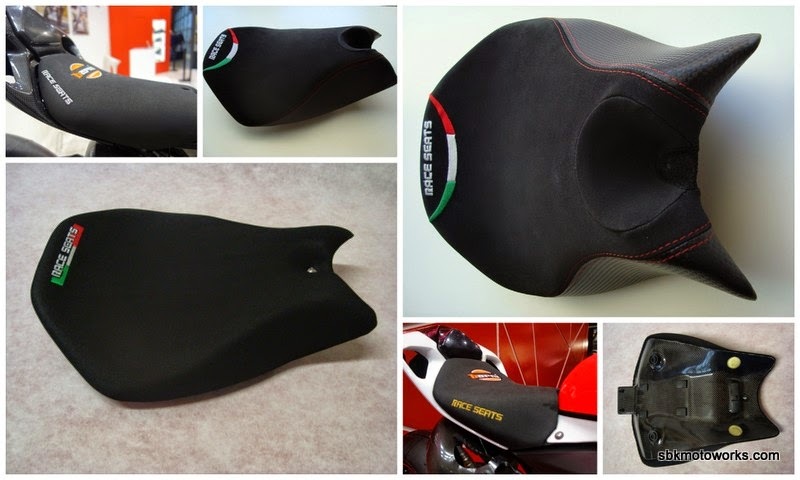 1) Carbon Line Sporting seat made of "street neoprene" material in the sitting part, a medium non-slip, fabric material which let you have a good grip on the seat and at the same time change easily position. Visit us at Linear Racing Store c/o Two Wheel Garage, Glenmarie.